CHINO, Calif. — The Ninth Circuit Court of Appeals has upheld a lower court ruling declaring that a California school board violated the Establishment Clause of the U.S. Constitution by presenting predominantly Christian prayers during public meetings. “The policy and practice of prayer at Chino Valley Board meetings violates the Establishment Clause. The scope of injunctive relief is appropriate, because it merely prohibits governmental action that violates the Constitution and does not infringe upon constitutional rights,” wrote a unanimous three-judge panel, consisting of Judges M. Margaret McKeown, Kim McLane Wardlaw and Wiley Y. Daniel. All three judges were appointed to the bench by then-President Bill Clinton. 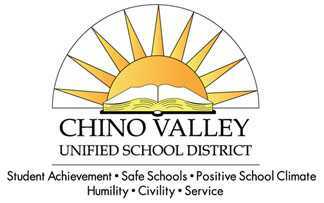 As previously reported, the matter began in November 2014 when the Wisconsin-based Freedom from Religion Foundation (FFRF) filed a 49-page lawsuit against the Chino Valley board. Among other practices, the organization took issue with the board’s custom of opening meetings with invocations, which they argued is a violation of the First Amendment in the U.S. Constitution. In 2016, U.S. District Court Judge Jesus Bernal, appointed to the bench by Barack Obama, sided with FFRF, opining that the prayers at the school board meetings “constitute unconstitutional government endorsements of religion.” The ruling disappointed Mayor Art Bennett, as well as a number of local residents, who urged the board to appeal. The appeal consequently went forward, but on Wednesday, the Ninth Circuit Court of Appeals upheld the lower court decision, concluding that the prayer practice violates the Establishment Clause of the U.S. Constitution. “We hold that the Chino Valley Board’s prayer policy lacks a secular legislative purpose and therefore, … violates the Establishment Clause,” it wrote. The three-judge panel said that the prayer practice was also violative because it leaves out minority religions and those with no faith at all. “Atheists and agnostics comprise four percent and five percent of the California population, respectively. Neither the purpose of respecting religious diversity nor the means of doing so via prayer acknowledges or respects the beliefs of non-religious citizens in the district,” the panel remarked. 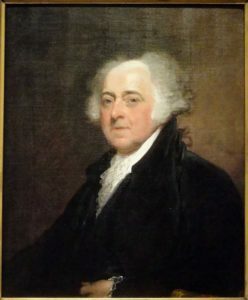 The court said that it declined to analyze the matter in light of the historical practice of legislative prayer because there wasn’t much public education at the time of the nation’s founding. “We can make no inference as to whether the Framers would have approved of prayer at school board meetings in any context, much less in the factual circumstances at issue here, given the lack of free universal public education in the late 1700s,” the judges asserted. The board is expected to meet in the coming weeks to determine whether or not to appeal.